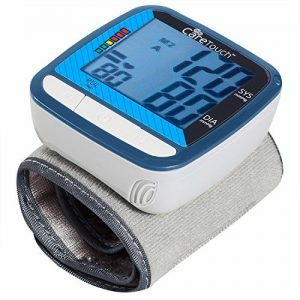 Amazon Price: $129.95 $99.99 You save: $29.96 (23%). (as of January 24, 2019 4:57 am - Details). Product prices and availability are accurate as of the date/time indicated and are subject to change. Any price and availability information displayed on the Amazon site at the time of purchase will apply to the purchase of this product. 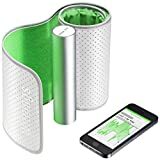 Blood Pressure Monitoring Made Simple Slip on the cuff, turn on the Wireless BP Monitor & the Health Mate app will automatically launch. Position arm properly & you're ready to take your blood pressure. The app stores all readings, syncs with Withings Health Cloud, & displays easy to understand chart. Visualize stats on your iPhone, iPod touch, or Android device, as well as on your online dashboard. The data is always backed up. The app gives an instant color feedback based on the National Health Institute standards for a quick & simple grasp of measurements. Share measurements with a doctor with a few easy taps on smartphones & get better support fighting high blood pressure. In addition, measurements automatically get synced with over 100 great apps & services. Measurement Cuff oscillometric method Pressure Accuracy : 3 mmHg or 2% of reading Heart Rate Accuracy : 5% of reading Cuff circumference: 22 to 42 cm (9 to 17 in) Automatic inflation & Controlled release Connectivity Bluetooth Smart Ready Compatibility/Requirements Phone 3GS, 4, 4S, 5, 5c, or 5s, iPod touch 4th gen or newer, all iPad versions (except the original iPad – App not iPad optimized), iOS 6.0 or higher Android smartphone or tablet with Bluetooth connectivity, running Android 4.0 or higher (App not tablet optimized) Certifications USA : FDA-Cleared Medical Device (class 2) Withings Apps Free Withings Health Mate app French, English, German, Spanish, Italian.